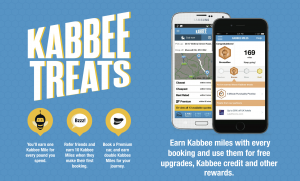 Kabbee Treats – get miles ahead! 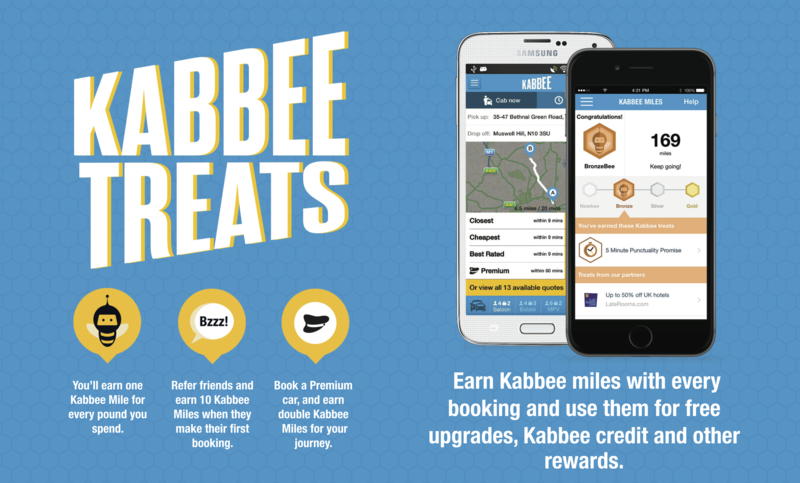 Kabbee is taking the lead in the industry, as the first cab app to launch a loyalty programme for its top users, called Kabbee Treats. Kabbee Treats includes a range of rewards from some of London’s best-loved, emerging and existing brands such as LateRooms.com, Naked Wines, Pact Coffee, Hubbub, Housekeep, LOVESPACE and La Gourmandina. Earn Kabbee miles by making a journey through the app, referring a friend or booking a premium car! Will you be a Gold, Silver, or BronzeBee? If you are a loyal Kabbee user, and your cab arrives more than five minutes late, you are entitled to the 5 Minute Punctuality Promise. The ‘5 Minute Punctuality Promise’ means that where a car is not available to be boarded in the booked location five minutes after the booked pick up time, and where Kabbee is made aware of this and cannot provide evidence to the contrary, a credit for the value of the booking will be applied to the customer’s account. Kabbee’s ‘5 Minute Punctuality Promise’ covers eligible bookings by customers eligible to receive Bronze, Silver and Gold user rewards. Eligible bookings are those made at least 1 hour in advance and paid for using a Kabbee account (not cash or card). Eligibility is defined at time of pick up not time of booking.